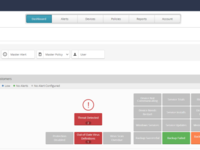 Avast Business CloudCare is a cloud-based, endpoint security platform that makes it significantly faster and easier for IT service providers to deliver layered protection, monitor threats, and resolve issues all from a single platform. With CloudCare, you can remotely secure multiple clients, protect networks, and deliver pay-as- you-go services, such as antivirus, antispam, content filtering, and backup services, that enhance their protection and boost your profits. Avast Business CloudCare Reviews Recently Reviewed! 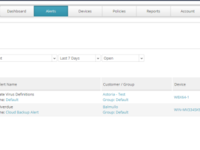 An easy to use centralized portal to protect and manage client's endpoints. Pros: The built in Premium Remote Control is awesome. Also the ability to control the surfing of computers by creating a simple policy and assigning the policy to the computer(s). The alerting feature is great to keep us informed on potential viruses or surfing to unapproved sites and many things in between. I guess there are many things about this software that we have come to appreciate. Cons: Sometimes version upgrades have needed some handholding with the endpoints. That is probably the downside of a portal that is working to keep all the computers protected with not just the most recent virus definitions, but also the most recent Anti Virus engine and client software. We are glad it does do this, but like all changes and upgrades that get installed, sometimes things don't go as planned. In the present climate of the internet, you cannot allow your security software to get behind. Overall: Client satisfaction of being well protected from attacks, along with the ability of having their data backed-up to the cloud. We have earned the trust of the client that we are invested in protecting their data and helping them run their business so that they can succeed. And if our clients succeed, so do we. Pros: The premium remote feature is a nice addition that can allow a business to easily access their customers computer/device in order to fix any errors that the customer may be experiencing. The overall interface of the antivirus is also pleasing to the eye. Another cool feature of avast is the scheduled scan function to which it can be set at certain times of the day, week, or month to scan your computer for any traces of adware. Cons: Unfortunately, the remote support feature requires your to download the software every time you start a new remote session. I believe its unnecessary for avast to make you do this unless there is a newer version of the software to which then it would make sense. When the antivirus is scanning it can sometimes interfere with what the user is currently doing on their computer so thats another con for me. Overall: For the price you get this antivirus at I'd say its definitely worth it, and while this antivirus has its cons so does any other antivirus out there and thats unavoidable. However, in todays society I would definitely say its one of the top ones out there. Pros: I really like the remote feature that is built into this version of anti-virus. It allows us to use a single program for what we used to have 2 programs for. The installation for Avast is much quicker than the installation of our previous anti-virus software was. Cons: The one thing I do not like about the premium remote feature is that it wants you to download the premium remote software every time you start a new remote session. This should not be necessary as once you have downloaded it, Avast should not ask you to download it again in order to start a new remote session. Overall: Overall we are happier with Avast then our previous anti-virus and as stated earlier it is allowing us to get rid of the separate remote software we were using. The licensing on our previous anti-virus became a large inconvenience to manage and the licensing has been easy to manage with Avast and cheaper. So far Avast seems to offer a similar level of protection and we have had no complaints as far as the protection goes either. Pros: There are multiple deployment options available, including silent automated methods. Once deployed, its easy to manage from the cloud portal. Cons: The 'advanced' behavior based protection seems to be behind some competitors. There isn't an automatic function to disable the license on non-communicating devices, so this has caused us to pay for licenses which havent been in use for a very long time. I'm told this feature is coming soon though. Cons: Even though I have added domains to the whitelist for the email scan in Outlook they still go into spam. Overall: We have solved that before everyone was on different things free and paid, and some not at all! We now have unified system which is fabulous. 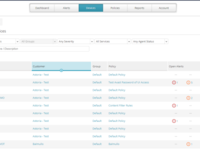 Pros: The online dashboard allows for total control of all endpoints with minimal effort. Cons: Sometimes the online dashboard states the pc is online and well, when all actuality is the Avast install has corrupted and causing issues for the customer. Overall: Easy to use dashboard with information on infections out of date virus definitions. Avast does a good job at securing my computer and does it almost seamlessly. Pros: It almost never prompts me for anything and runs in the background. I have never had a problem with security which means it's obviously doing the job that it was intended to do. It runs a scan once a day to check for any issues which is a plus. Cons: The scan runs at noon, which was set up by the administrator (not me) and that does interfere with my computer screen. This is a small issue and just a little annoying. Overall: We use it to secure our network in the office against viruses, malware, and ransomware. Pros: When it comes to Avast products, I have good things to say about each of one them that they have released. Avast Business CloudCare is a software that acts like a real antivirus. It protects all computers from harmful malwares and we all know that malwares have the tendency of destroying computers in a short amount of time. 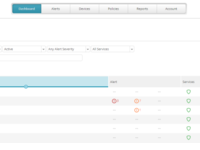 The CloudCare agent allows you to connect to any managed devices. In other words, you can perform tasks, transfer files, chat with users, reboot computers, etc. Cons: I do not really have anything negative to say about the software. It has responded to my demands as an user. Pros: Easy to setup and the remote control is great as a backup to have if you're main remote support tool fails. Cons: You can't apply many of the shields without unending manual exclusions. Updating from the portal almost never works and deploying the software doesn't always work the first time. Overall: Not a great experience. Its a centrally managed antivirus product so it meets the need of it's basic function, however it's not as useful as it is tedious and unreliable. Pros: Central management for anti-virus - makes use of a simple interface for all assets in the environment with product installed on. Centralized deployment makes for simpler deployment. Cons: Poor support from the vendor, issues typically with removing the software with the built in function fails -typically manual work becomes a need. With Avast, I feel protected! Pros: Avast is a really good, bit easier to use and easy in installation, quickly and has good support. I like graphics and features. No have problem with any viruses. Cons: I don`t know what I can say about the disadvantages of this program..